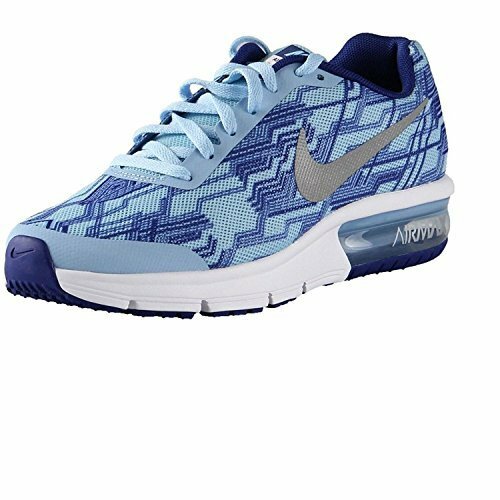 NIKE Big Kids Air Max Sequent Print Bluecap/Silver/White (6 M US Big Kid) by NIKE at Blood of The Young. MPN: 820330-400_Azul (Bluecap / Metallic Silver-Deep Royal Blue). Hurry! Limited time offer. Offer valid only while supplies last.